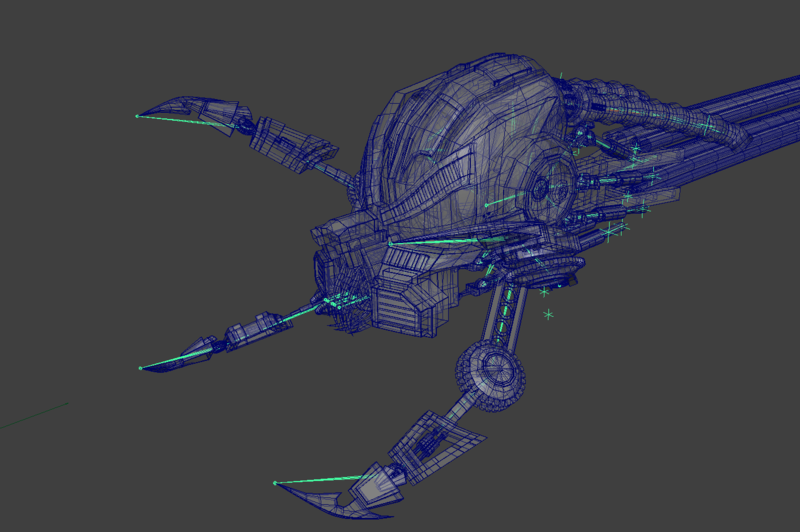 Without legs or claws, the mech looks kinda like a snake! Here we are, part three, and progress is looking good. 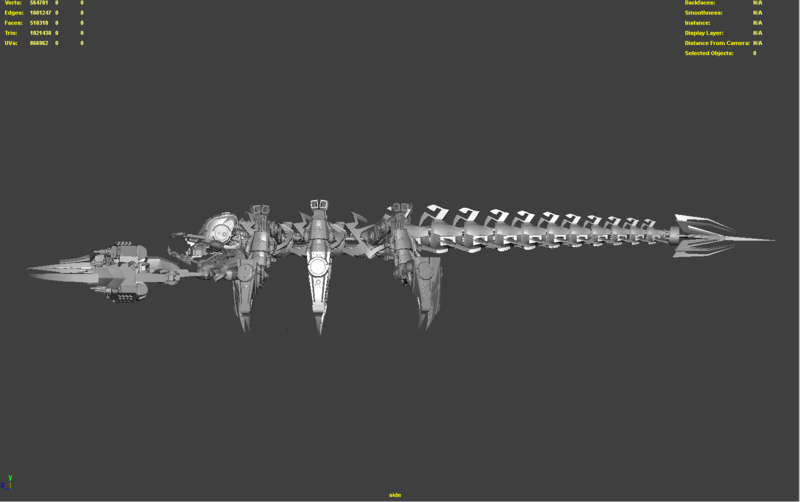 For this post, I’ll describe some of the processes I’m using to set up the spine and tail’s behavior. Read on! 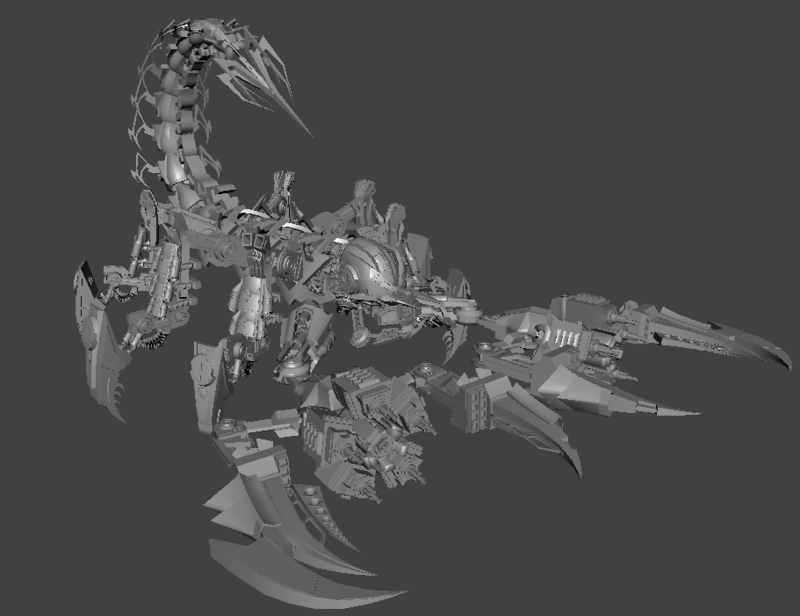 For this part, I’ll go into my detail on my initial rig for the Scorpion’s head, which compose of the mandibles, face, and the wicked tubing and pistons attached to the skull. I decided to tackle this part of the character early since it’s likely the most complicated part of the overall rig, in terms of joint setup.